I’m pretty sure my roommate buys bananas exclusively so that I’ll turn them into banana bread. They sit in our fruit bowl, largely untouched, until there are only three left and they’re all brown. At which point I don’t really have a choice in the matter, since my banana bread recipe just happens to call for exactly three overripe bananas. I really can’t blame her. This summer, when visiting a friend in England (Hi Cate! ), I was introduced to the cookbooks of Ottolenghi – specifically, Plenty More. Said friend offered me a slice of the banana bread she had made, with some tahini and honey (more on that later), and I was sold. So when she sent me the cookbook as a gift, it was obviously the first thing I decided to make. And, since then, I think I’ve made it at least every two weeks. 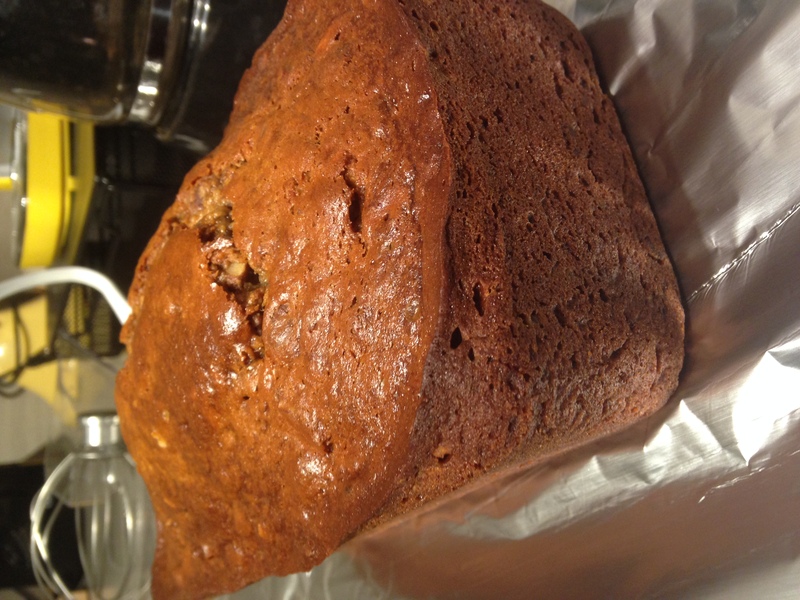 It’s that good, and definitely takes the place of the last banana bread I made on this blog. This week, with reading period gearing up before final exams, I’m admittedly taking the easy way out and posting the recipe here for all of you. Yes, I make this all the time. Yes, I would have made it even if I wasn’t posting it. But at least I took some pictures this time! First, preheat the oven to 325°F. 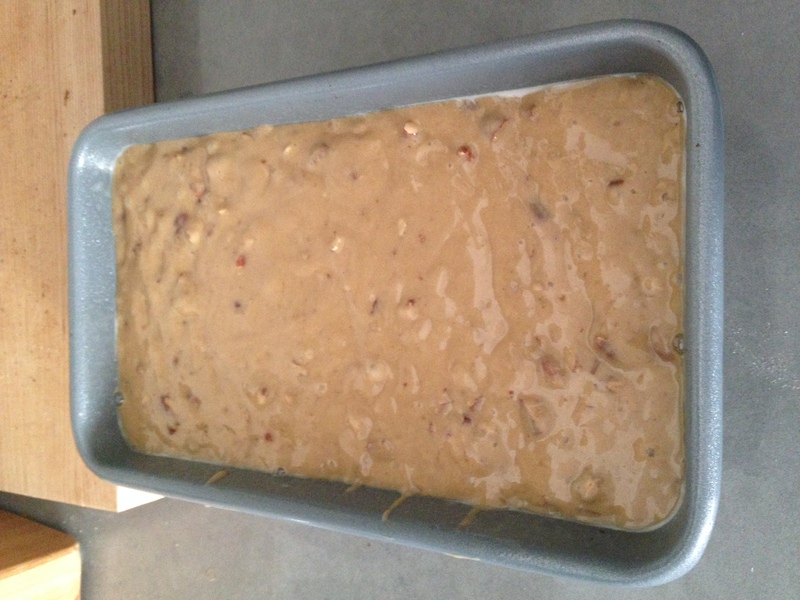 Spread pecans in even layer on baking sheet, bake for 10 minutes, remove from oven, coarsely chop, and set aside. I didn’t take any pictures of that, sorry. 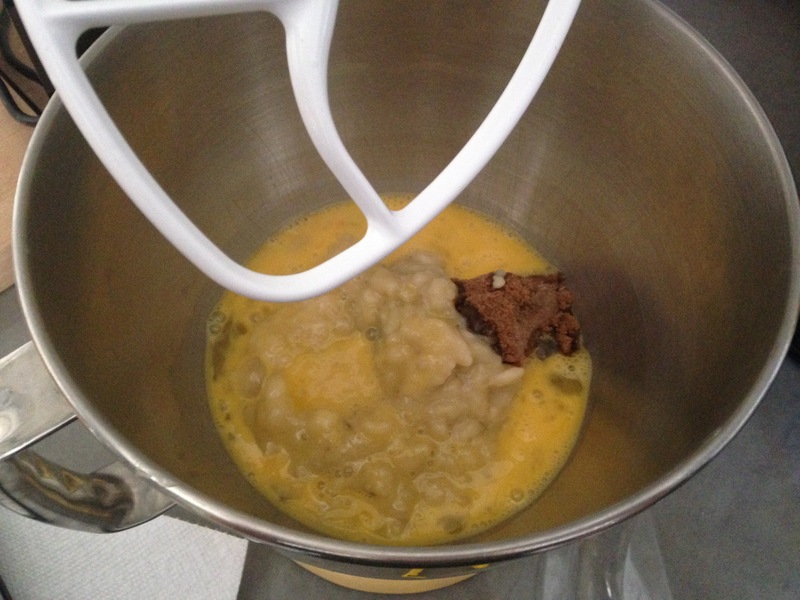 Then, beat the bananas sugar, and eggs in a stand mixer on medium speed using the paddle attachment until combined. 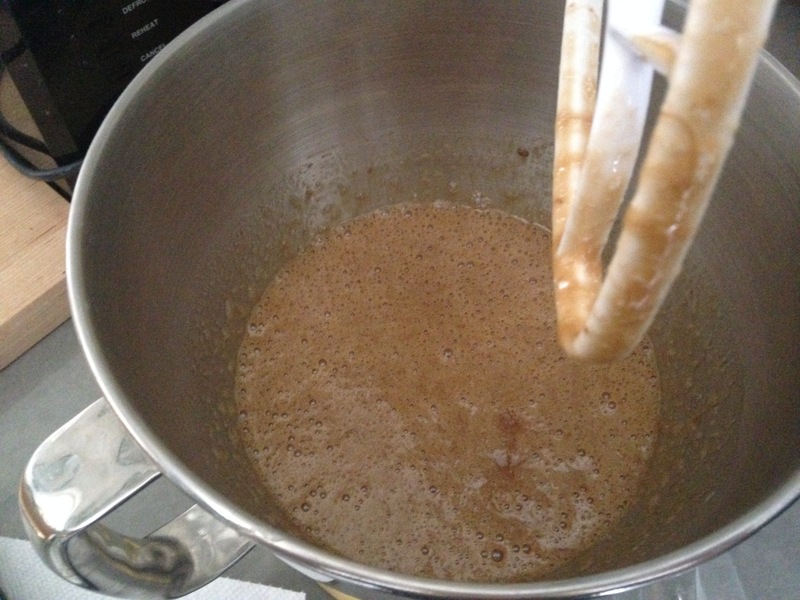 With the mixer on low speed, add salt, milk, and oil. In a separate bowl, whisk together the flour, baking soda, and baking powder. Add to the stand mixer while running and beat for about 5 minutes until thoroughly combined. 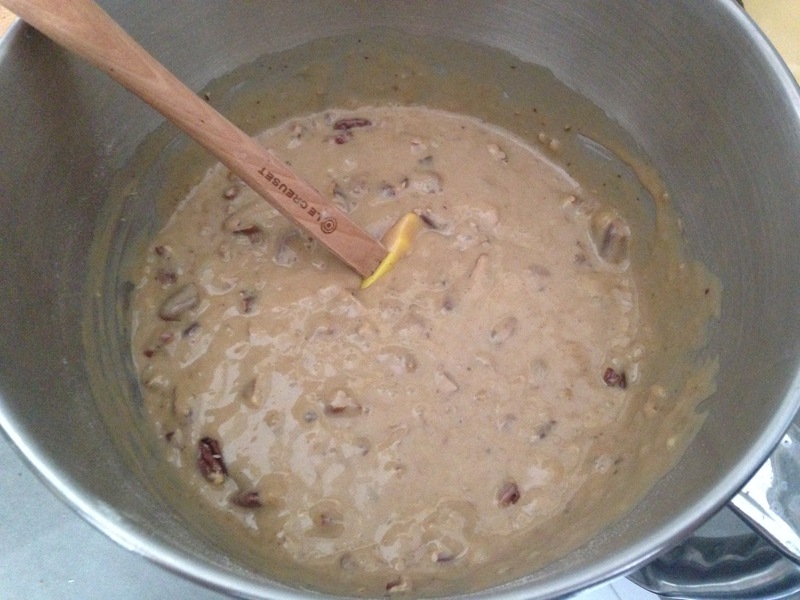 Stir in the chopped pecans using a rubber spatula. 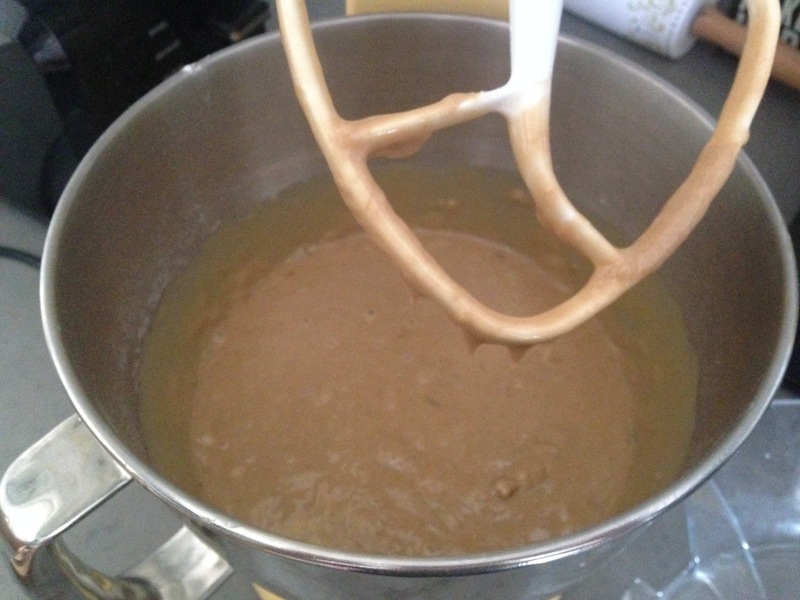 Pour batter into a 9×5 inch loaf pan sprayed with cooking spray. Bake at 325°F for about 1 hour and 10 minutes, until a toothpick comes out clean. 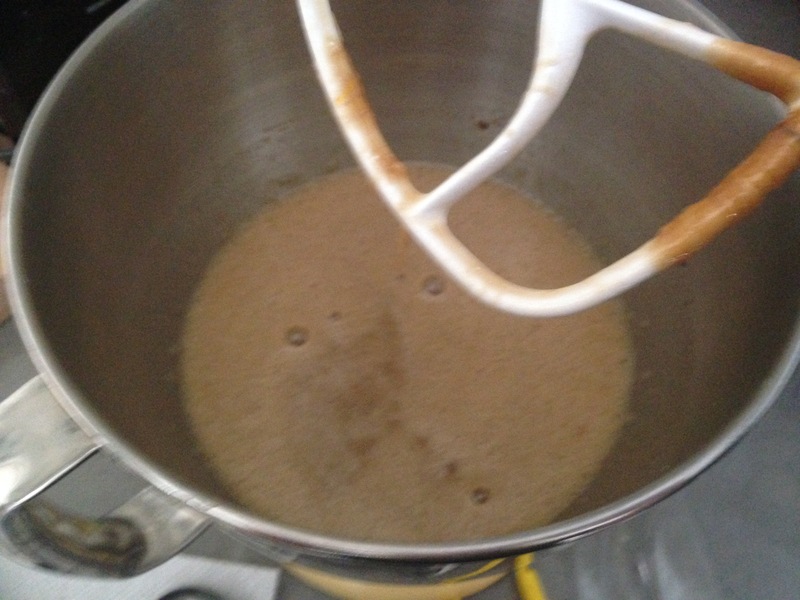 Allow to cool 10 minutes in pan before transferring to wire rack to cool completely. Store, tightly wrapped, and use within a week. The best way to serve it? Grilled with tahini, honey, and sea salt. Seriously. It’s my new favorite breakfast. And, strangely, my mom and I discovered our mutual love of tahini independently this Fall. Must have to do with being Geminis. 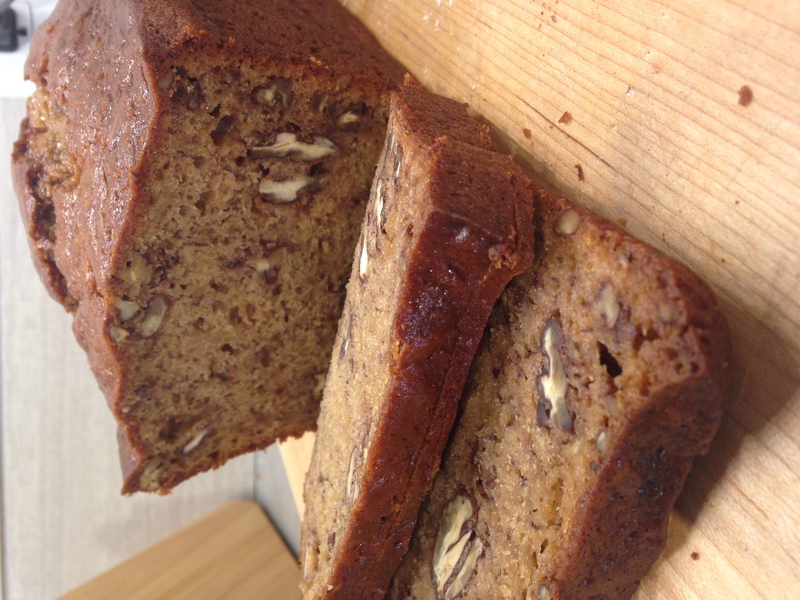 Regardless of how you eat it, this is the only banana bread recipe you’ll ever need again. It really is the best. Preheat oven to 325°F. Spread pecans on baking sheet and toast for 10 minutes before chopping coarsely and setting aside. 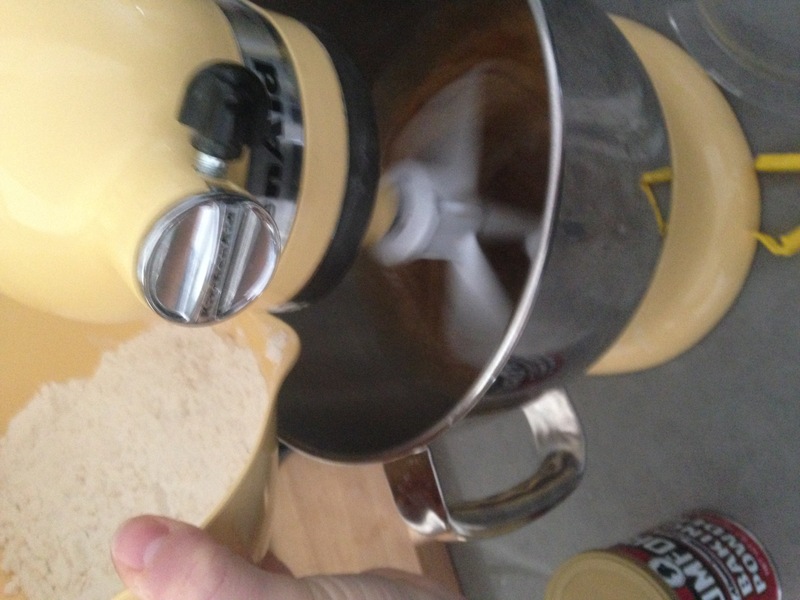 In a stand mixer fitted with the paddle attachment, beat bananas, sugar, and eggs on medium speed until combined. On low speed, add salt, milk and oil, continuing to beat well. In a separate bowl, whisk together flour, baking soda, and baking powder. 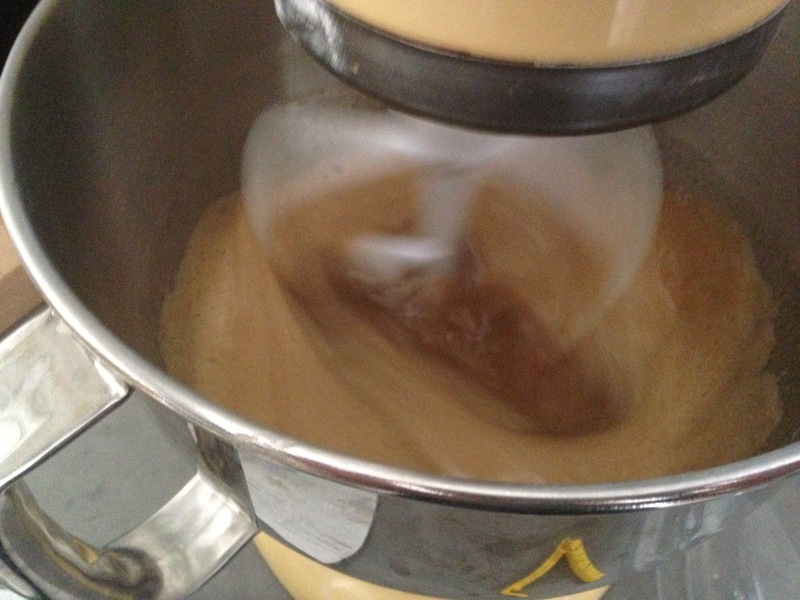 With the mixer still on low, pour the flour mixture into the banana mixture. Continue to beat on medium speed for 5 minutes until thoroughly combined. 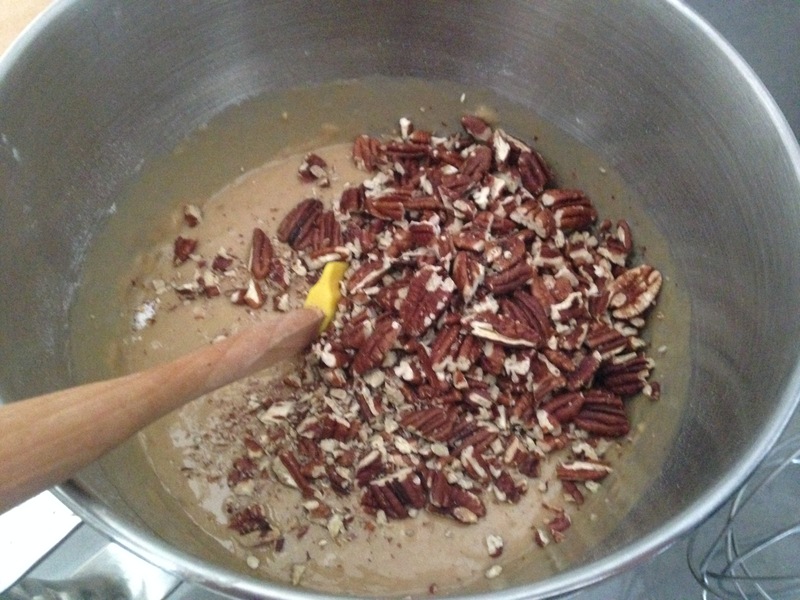 Stir pecans into batter using a rubber spatula. Pour into a 9×5 inch loaf pan sprayed with cooking spray. Bake at 325°F for an hour and 10 minutes or until a toothpick comes out clean. Remove from oven and allow to cool in pan for 10 minutes before transferring to a wire rack to cool completely.